Even though many tend to think that termites are similar to ants, the reality is that these are eusocial insects included in the infra-order Isoptera. They evolved from some close ancestors of cockroaches and they are a part of that family. You can find around 3000 species of termites in the entire world, but there are a few that are largely encountered in the US. You can encounter a multitude of termite species, but the most common one is the damp-wood termite which is usually found, just like its name suggests, near damp wood. This is why it’s important to deal with the issue as fast as possible because it will immediately draw termites and its quality will lower even more. 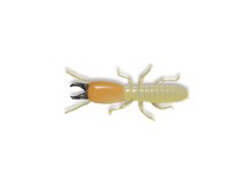 Aside from those, you can also find the dry wood termite which obviously feeds on dry wood, as well as the Formosan termite, subterranean termite, and the conehead termites. As we said earlier, these are only a few of the many termite species you can encounter in the US, but they are the most common. Termites were mentioned many times in history, with one of the first mentions being from the ancient Egypt, but since then humanity had to deal with termite infestations quite often. An interesting thing, however, is that after the 10th-century people started to eat some species of termites. Yes, around 40 species are actually edible and some of them are considered a delicacy in select regions such as Asia, South America, and Australia. If you see a mud-like material, excavation or various lines in the wood or swarms that fly around near any piece of wood, then this is definitely a sign that termites are currently attacking that piece of wood. An important thing to note is that swarmers emerge during the day and that is a good time to track down a termite infestation. If you see mud tunnels or underground tunnels after you dig in the ground a little bit, then you have to deal with a termite control. Although the best thing you can do in this situation is to call us here at Extermital Termite & Pest Control and have us handle the entire situation properly, you do have the option of doing this on your own; in fact, there are a few things that can help. Some people have tried electrocution in the past to eradicate termites, but this is not recommended. Orange oil is very good, but so is a hot and cold treatment since it can deliver moderate results. For quality pest control, please call us today. 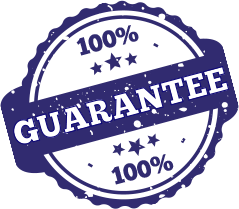 We offer a free no obligation quote. One can also use cardboard traps, even though these are only suitable for catching a few termites and not eradicating them completely. Boric acid, termite bombs, essential oils, aloe vera gels, sodium chloride as well as petroleum jelly and white vinegar can also be a great solution in such situations. Call one of our 3 locations today so we can help you eliminate your termite control problem.